"Vox printing is a preferred vendor of McDonalds Corporation and services each franchise across the country with promotional items to promote the latest campaign. Recently, in a vendor website review, McDonalds awarded Vox Print’s Ecommerce site with the highest score of all vendors, including reputable companies such as Staples and Graingers. In addition, the Ecommerce site was awarded a perfect score in the user interface category." 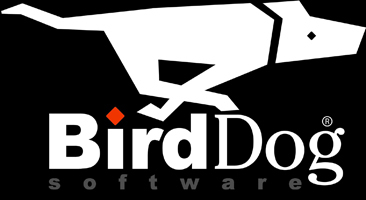 "Without BirdDog Software, there's no way our business would be where it is today!" Since implementing the BirdDog OmniCommerce platform, we have experienced a 50% increase in orders. In addition, we have increased our web sales to a phenomenal 135%. Finally, it's worth noting, that after the implementation of BirdDog Ecommerce which includes expansive customer self-service features, we've also experienced a 15% decrease in inbound phone calls." "The support that Danchuk receives from BirdDog is exemplary. Utilizing BirdDog's OmniCommerce platform has enabled us to grow by seamlessly integrating our website into our ERP system where before we had to manually enter in orders and customers. Using BirdDog Customer Service and Order Entry, we have found the BirdDog software very easy to use to perform functions like authorizing credit cards over the phone and website. Also, managing our website changes (e.g. item management, webpage updates, and website category changes) is a breeze through their Enterprise application and web interface." The BirdDog Enterprise platform allows your business to get up and running quickly. With over a decade of experience our software and team have evolved to successfully handle companies with thousands to a few transactions a day. Supercharge your existing accounting system with thousands of features in the BirdDog Enterprise platform.